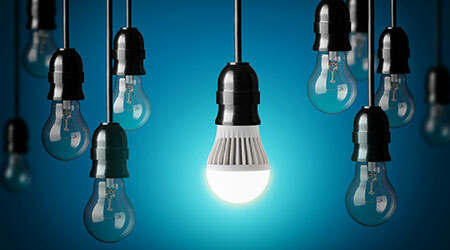 The strategy for introducing LED lighting to the 86-year-old Herbert C. Hoover Building in Washington, D.C., involved a focused approach that targeted hundreds of aging fixtures, specifically in areas requiring 24-hour lighting for safety or security, according to an article from Facility Maintenance Decisions on the FacilitiesNet website. “We did a cost-benefit analysis targeting the areas where lighting is always on for either egress or security purposes because we would achieve the best cost savings on an electrical bill by hitting those lights that are already on,” said James Fay, senior general engineer and deputy building manager. Perhaps more importantly, the relatively small scope of the LED upgrades helped ensure the project’s success, and it paved the way for incorporating LED lighting into ongoing, larger-scale renovations of the historic building. The facilities team undertook the lighting upgrades separately from the broader renovations. Their upgrades to introduce LED lighting, which began in February of this year and were completed five months later, targeted areas where lights need to remain on around the clock for safety and security reasons, as well as the exterior of the building.